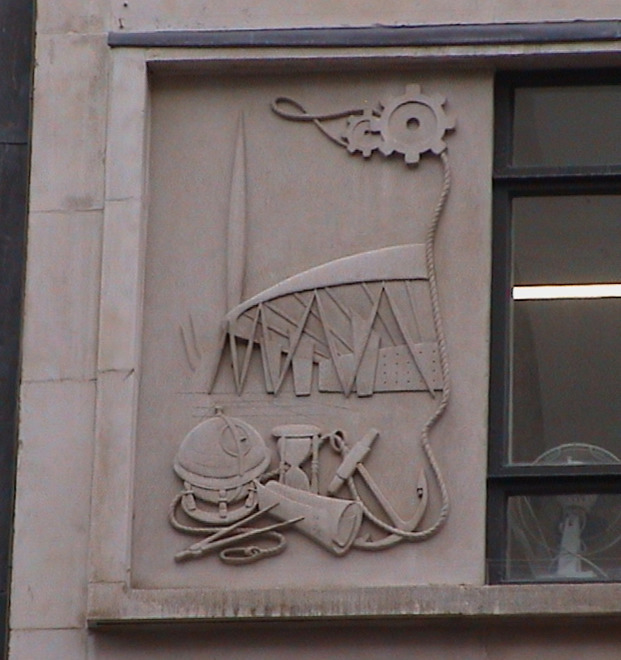 The relief shows a pair of compasses, globe, hour-glass, rolled document, anchor, some cogs and two buildings on the Festival site: the Dome and the Skylon. 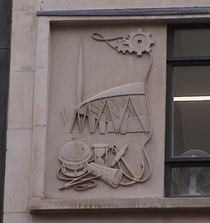 This building was put up in 1951 by architects Ronald Ward and Partners. Ornamental Passions has an excellent report on the building. The text is inscribed on the reverse of the relief.